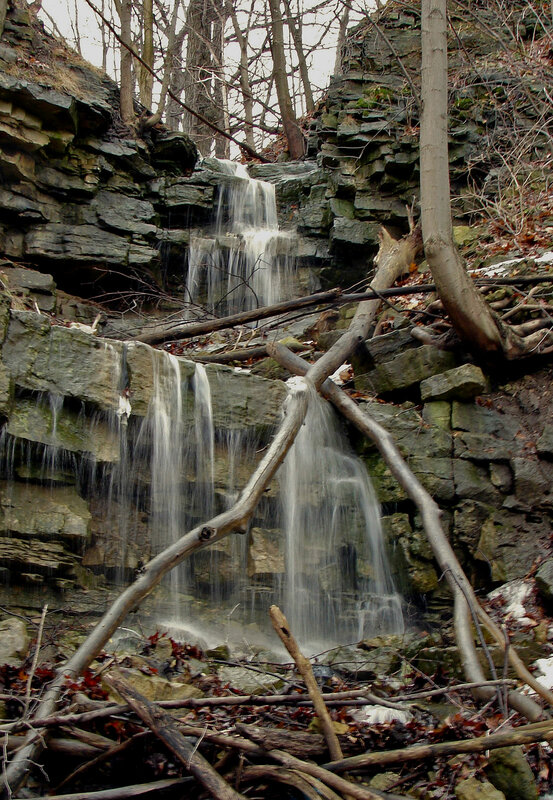 Ancaster Heights Falls a Terraced Ribbon Cascade located on a Tiffany tributary. It measures 13.4 metres (44 feet) in height and its crest width is 1.8 metres (6 feet). 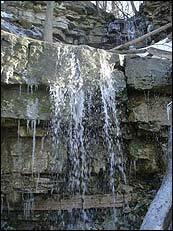 It enjoys vigorous flow after heavy rainfalls and during the winter snow melt. The original owner of the property on the east side of this wide swale in the 1940’s was a Mr. Wade. The property on the west side (with the railing around the deck as seen in one picture) was the summer residence of John Diefenbaker. 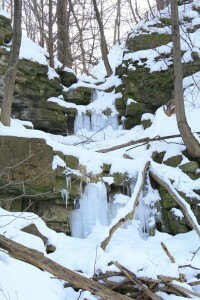 Ancaster Heights Falls is located beside Wilson Street, half way between the Tiffany Falls parking lot and Little Falls. It can be seen from a car if the leaves are off the trees. 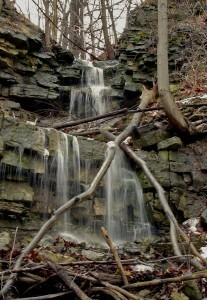 The intersection of Montgomery Drive and Haig Road in the Ancaster Heights survey is situated above the waterfall.